Dr. Franz, along with Dr. Shengzhand Dong and their research team, published in Scientific Reports, an online open access scientific mega journal published by the Nature Publishing Group.. In August, a blog post on the Scholarly Kitchen, mentioned that the journal is likely to become the biggest one in the world, overtaking the open access journal, PLOS ONE. 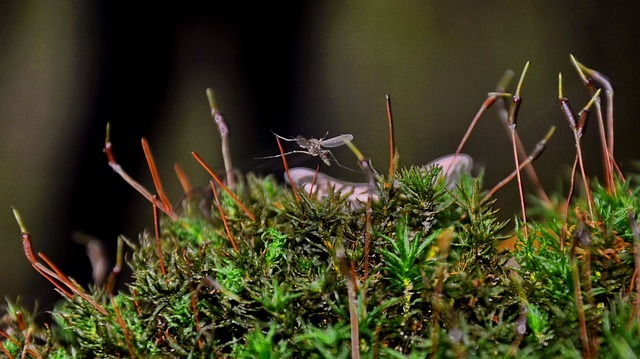 Their article, Infection pattern and transmission potential of chikungunya virus in two New World laboratory-adapted Aedes aegyptistrains, discusses the mosquite-borne Chikungunya virus and its infection pattern. Why did you choose to publish in an Open Access journal? "We were interested in reaching a broad audience also in countries/institutions that may not be able to afford high-price journal subscriptions and therefore rely on open access articles to get informed about scientific developments/discoveries. This is especially useful when working on things like tropical disease agents, which often are a problem in countries that do not have a rich science infrastructure." Would you publish in an Open Access journal again? If so, why? "Yes, I would. I like the concept of open access even though it means that we (as authors) have to pay for the publication. But ususally, it also means that we (as authors) retain the copy rights of our work." Taira Meadowcroft is a Health Sciences Librarian at the University of Missouri. She focuses on quality improvement, reference, and marketing for the University of Missouri Libraries.